Each day a different time traveller – artist, writer, performer, scientist - will inhabit the Time Ma- chine for a day and investigate time from their own particular perspective. Over the course of two weeks this will evolve into a cohesive multilayered multimedia installation. Come to the Time Machine and be transported! Time Travellers - bring us your conjectures, your hypotheses, your experiences, your conclusions - set out to defy temporal laws as we understand them. Innovative and exciting responses to the concept of Time and Time Travel are sought. Our Time Machine offers you the opportunity to disrespect time – use it to question, stretch, bend, and control time, to make unexpected things happen. Selected artists, performers, writers, musicians and scientists will have a day to play in the Time Machine. 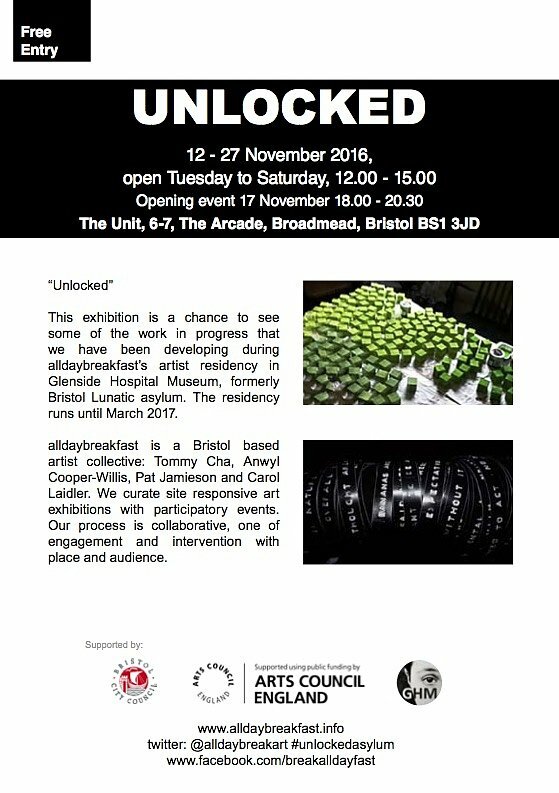 Their responses will be filmed to create a concomitant, evolving and cohesive multilayered durational installation. We will build a Time Machine construction, evolved from Concrete Evidence and Vessel 10. Within the machine will be a video monitor installation. 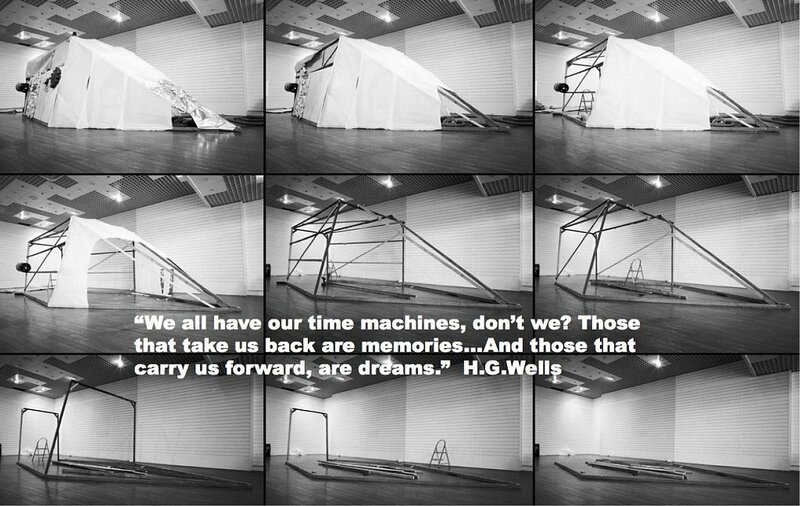 Each day during the festival, a different Time Traveler will develop their piece of work. We will film the daily events and include them in the evolving, multi-screen, video display inside the Time Machine, a dynamic process to coalesce different voices over the course of the festival. Materials that come out of the day’s events can be added to the installation, incorporated either in the room or into the Time Machine itself. Send us a 300 word proposal of what you would like to do, a short CV and up to 6 supporting jpeg images (no more than 1mb each). deadline 14 March 2016. 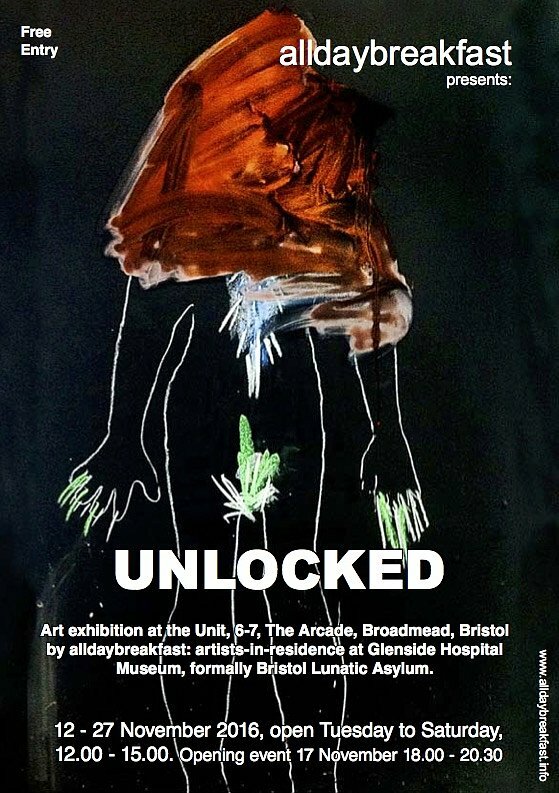 Free submission, email proposals to timemachine@fringeartsbath.co.uk. 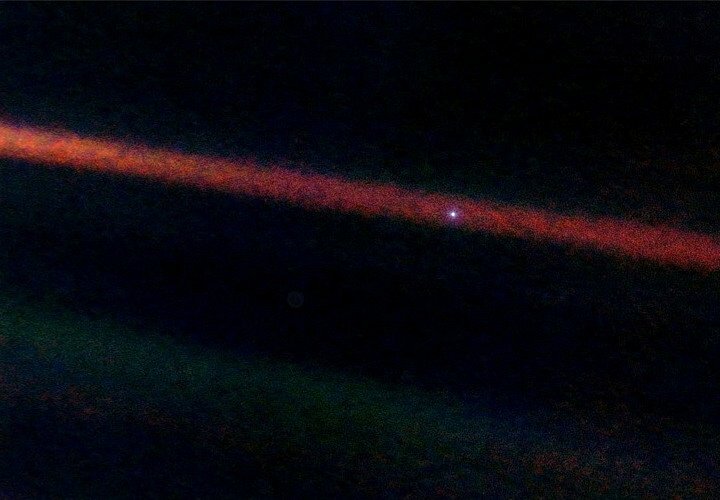 Planet EarthVoyager's last image of planet Earth. Published by NASA. “Imagination will often carry us to worlds that never were. 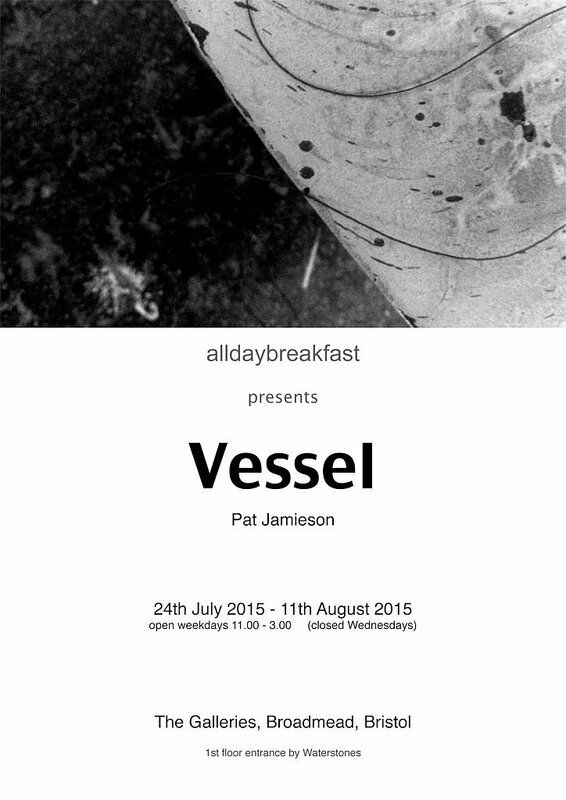 alldaybreakfast presents Vessel, a solo exhibition by Pat Jamieson opening weekdays (closed Wednesdays) from 27th July to 11th August 2015.